Saab 9-3 petrol models 2000 to 2003 with B205 or B235 engine type. Saab 9-5 all 4 cylinder petrol models 1998 to 2003. All of these hoses have a tendency to fail. The main symptoms of this failure are 'squidgy' pipes, which can eventually collapse completely and can contribute to 'engine oil sludging' potentially leading on to engine failure. 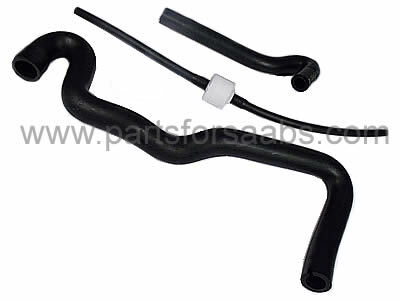 This Kit contains high quality aftermarket Swedish supplied Hoses.